I have always been wondering what a toy designer that cares for education is supposed to do in order to bring his/her vision to the market, and so to the people. Now, learning by play is the best way for children to have their young minds open and free, facilitating the exploration of new skills. In this sense a toy designer that cares for education at first should find out how to engage kids with what he/she intends to teach. For instance Maths. 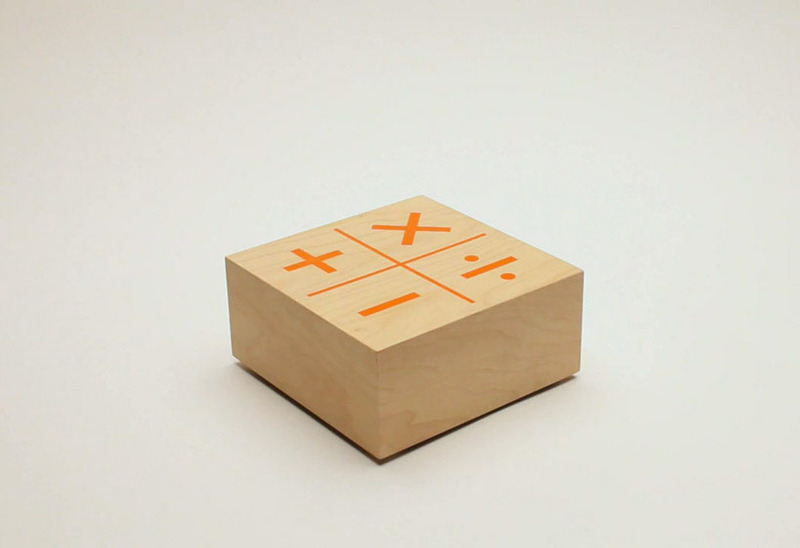 Toy designer Khalil Klouche reinvented the traditional calculator with his Knock Knock. Here children have to concentrate on simple equations more than they expect. Aimed to small children, Knock Knock is a playful calculator which allows simple calculations by knocking on the wood surface and receiving the answer using the same knocking tone. When you rap your knuckles on this plus-sized wooden calculator an Arduino controller inside knocks back with the solution to your math problems. Initially, Klouche created Knock Knock for an exhibit at the Museum of Design and Contemporary Art (MUDAC) in Lausanne (Switzerland), tapped childhood memories of playing with his father’s calculator. Those same recollections provided crucial insight into how to design for an optimal learning: Knock Knock is a toy with which children should be able to slowly decipher its mysterious behavior. Klouche also stresses the importance of having to sit and listen to literally every numbered knock. Patience is not a common skill in children, but curiosity might play a crucial role for them to learn this important principle of life. Having to wait for 72 knocks makes you really feel how 72 is bigger than 15, whereas visually it’s not obvious. The use of this wooden toy is very easy and intuitive. For example, to calculate a sum, the kid must knock the number corresponding to the sign so to multiply by two, you must knock twice on the ‘X’ symbol. After that, the total of the sum is answered by the wooden calculator with knocking sounds via the speaker. In this case the toy designer found a simple way of stimulating a wider number of senses with an innovative redesign of a classic piece of technology. Nowadays, children use to play and interact with touch screens and all the new technological interfaces but this wooden toy can surprise kids using an unexpected sensory experience. 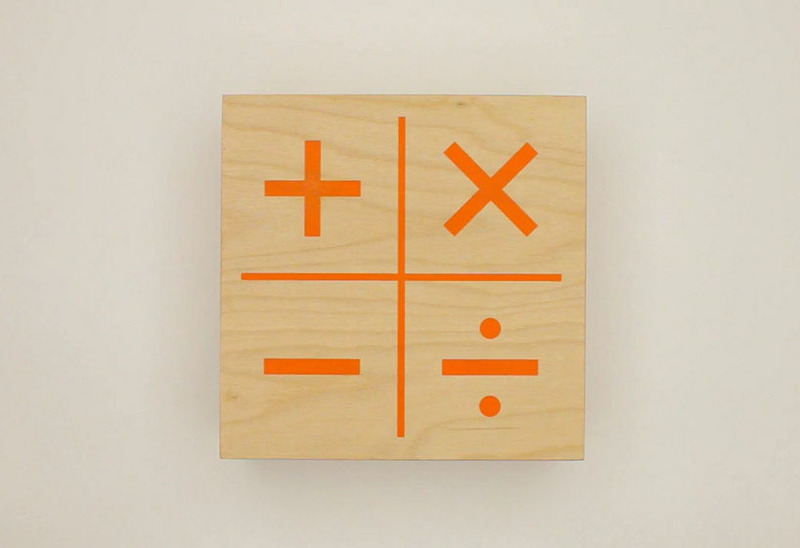 Knock Knock acts like a counting box, absorbing knocks from the wooden surface, and then “talking back” also with knocks to give the mathematical answer. The wooden toy contains four microphones, each within an own compartment. When you knock on the surface, the microphones of each compartment “listen” and the one receiving the strongest signal processes the sound. Klouche programmed an Arduino board that connects with an electromagnet in the center of the box, where the knocks answer happen. I think Khalil not only acted as a toy designer that cares for education but also tried to give children a different interaction experience. It feels like a true dialogue between the machine and the kid because the 4 arithmetic symbols (add, subtract, multiply and divide) are operated the same way kids can operate sensorially with a wooden block. And this feels very good!